A memorial service to honor and celebrate her life will be held on Thursday, Aug 23 at 11:00 a.m. at Crippin Funeral Home Chapel with a reception to follow at the family home. Alice June (Magninie) Hazzard passed away peacefully surrounded by family on August 18, 2018 at St. Mary’s Hospital in Grand Junction, CO after a sudden illness. A memorial service to honor and celebrate her life will be held on Thursday, Aug 23 at 11:00 a.m. at Crippin Funeral Home Chapel with a reception to follow at the family home. Cremation will take place prior to the service at Alice’s request. Alice was born on July 23, 1934 in Aguilar, CO, the middle of three daughters born to Louis and Ethel (Anderson) Magninie. 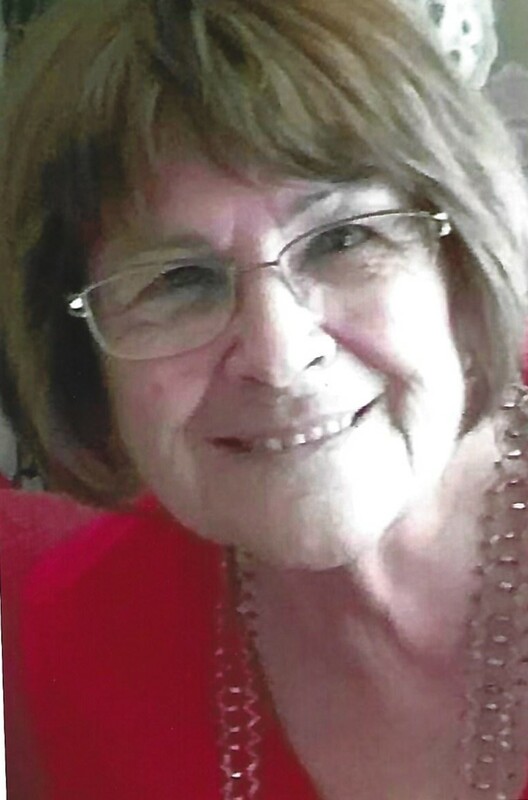 She grew up in Aguilar and Walsenburg and graduated from Huerfano County High School in 1952. She married Lloyd K. Hazzard, a Korean-era U.S. Navy veteran on December 22, 1952, while Lloyd was home on military leave. She joined her husband in late 1953 in San Diego then lived in Ft. Collins, Little Hills Experiment Station near Meeker, Lamar and Monte Vista before establishing a permanent residence in Montrose, CO, in 1966. At various times, Alice was employed at a drug store, a bookstore, an office supply store and JCPenney. She read utility meters, was a teacher’s assistant and worked for several years at Russell Stover Candy Factory in Montrose. Her favorite endeavor, however, was raising four children and being a loving wife and mother. 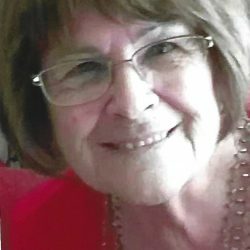 Alice remained active well into retirement and was a member of the Columbine Quilt club in Montrose, where she enjoyed the friendships developed with many of the quilters. She made many beautiful quilts and wall hangings and shared many of them with members of her family. She also gathered several times each week for conversation and laughs with a very close group of friends, a group affectionately referred to as the Breakfast Club. Alice loved being with her children and their families. Her extended family numbers in the dozens, and she loved them all. Alice and Lloyd maintained a home with a beautiful yard and a playground to welcome grandchildren and great-grandchildren. Alice Hazzard was preceded in death by her parents, an infant son, her sister Gloria, son-in-laws, Dale and Andy, and just last year by her husband of 65 years, Lloyd. She is survived by four children, Rob Hazzard (wife, Therese) of Cincinnati, OH, Robin McKenzie (husband Dale, deceased) of Thornton, CO, June Watkins (husband, Darren) of Aiken, SC, and Doug Hazzard (wife, Shannon) of New Castle, CO. She is also survived by 12 grandchildren, 7 great-grandchildren (and one on the way), and a sister, Lois Stevenson of Colorado Springs, CO. Crippin Funeral Home & Crematory in Montrose is assisting the family.